Ever find yourself counting down the days until the next time you get to fly on a plane? If you don’t necessarily have an interest in becoming a pilot, but still want to be in the industry, here’s the good news: there may be a great career fit for you as a Flight Engineer. Flight engineers play an integral part in ensuring aircraft are safe. They uphold the safety regulations of commercial and noncommercial flights by inspecting aircraft before, during, and after flights. Do you have the keen attention to detail needed to excel in the position? Do you love learning about the physics behind aircraft? Are you willing to enter a career with irregular schedules and late-night shifts? If the answer is yes to all three, then you have the right passion and discipline for a career as a Flight Engineer. All flight engineers are required to have a commercial pilot’s license and a flight engineer certification, which is given out by the Federal Aviation Administration (FAA). To be eligible for the license, candidates need to be 21 years of age, speak English, hold a private pilot certificate, pass the practical test, and log 200 hours of flight time on airplanes. To qualify for the flight engineer certification, aspiring flight engineers must be at least 21 years of age, fluent in the English language (or have appropriate limitations), and hold a medical certificate that shows compliance with health regulations. Additional qualifications for the certification exam include applicants needing to complete two-year courses in aircraft and engine maintenance or garnering three years experience in aviation. Most applicants have a bachelor’s degree in aviation, aeronautical engineering, or other related field to satisfy these requirements. Once these perquisites have been fulfilled, aspiring flight engineers can take the certification exam, which tests their knowledge of flight theory, aircraft performance, regulations, and related topics. Engineers must also have adequate flight experience, which they’ll have started accumulating after having received their pilot’s license. Many employers also require flight engineers to complete physical examinations before they hire them. Before a flight, flight engineers inspect the inside and outside of aircraft to make sure the planes are in great condition. If they spot any issues, they alert mechanics to repair the problem. When inspecting the cockpit of the plane, the flight engineer works with the pilot and copilot to check that all of the necessary flight instruments are working. These instruments control the plane’s ability to take off, safely cruise the skies, and land. Flight engineers are also required to know a flight’s course and the day’s expected weather conditions. Weather conditions and distances can affect how long an aircraft will need to be airborne. So, flight engineers use this information to determine how much fuel the airplane will need to complete its intended route. Once the aircraft is airborne, flight engineers monitor the performance of the plane and its engines. They also advise pilots and copilots if any problems arise and monitor flight instruments to make minor adjustments as they see fit. After the plane has landed, flight engineers report any issues to mechanics and help them solve the problems. They also submit their logs of the plane’s performance. This can start a discussion in which the flight engineer will need to communicate his/her recommendations. They then begin to thoroughly inspect the plane, once again, for its next flight. What Does an Average Day For A Flight Engineer Look Like? An average day for a flight engineer can be pretty routine, especially if they don’t spot any problems or issues to report. Flight engineers normally begin their day by testing out planes that have had issues in the past or airplane prototypes that are still in the development and design phase. They use the early morning hours to perform any repairs or make recommendations before they begin their actual work with the planes they’ve been assigned. Before any flight, flight engineers inspect aircraft to ensure there are no causes for alarm, like deflated tires or fluid leaks. They monitor aircraft systems, like the plane’s engines, and make sure everything is functioning properly. If they find any issues, they diagnose and rectify them either independently or with the help of mechanics. Flight engineers are also in charge of calculating how much fuel a plane will need in order to finish its route. Before any flight, flight engineers work with pilots, captains, and copilots to make sure all of the flight instruments are operating properly. This responsibility involves testing switches, gauges, and other instruments that control an aircraft’s ability to perform. They also conduct extensive aircraft inspections to ensure the plane’s weight and balance are properly calibrated. While airborne, flight engineers perform various responsibilities to help the plane fly smoothly. They adjust the engine power for pilots, cross-check pilot selections, and operate a panel of switches; indicators; and gauges in the cockpit. They monitor the use of fuel, air conditioning, hydraulics, electrics, oxygen, and other important elements. If they see any need to adjust any of these flight provisions, they will do so accordingly. If unexpected issues arise, flight engineers also help to troubleshoot them and implement solutions. During the entire flight, flight engineers will log data assessing the plane’s overall performance. After a flight has been successfully completed, flight engineers hand in their flight reports and rectify any issues they discovered while flying. They then repeat the process of inspecting the inside and outside of the plane, prepping it for its next flight. Are You Suited for A Flight Engineer Career? Flight engineers must be observant and detail-oriented professionals. Since their work ensures the safety of airplane passengers, they have a tremendous duty to meticulously inspect all aspects of their aircraft, without missing any details. Missing key issues with aircraft can prove very detrimental to their careers and can even result in severe punishments for gross negligence. Flight engineers also have an innate desire to figure things out. They carry this interest with them to work as it drives their curiosity to fix aircraft problems. With this curiosity comes creativity, which helps flight engineers turn the theoretical concepts they learned in school into world applications. Flight engineers also have great leadership and interpersonal skills. They’ll often need to lead pilots through complicated instructions or work with pilots to come up with solutions. Either way, they need to employ a combination of leadership and communication skills with their colleagues in order to be effective at their jobs. Flight engineers earn their certification through the Federal Aviation Administration (FAA). Flight engineers are also required to be proficient in math and aeronautical skills in order to be successful at their jobs. These skills allow them to use complicated software, read intricate measuring tools, and solve engineering problems that are pivotal to upholding aircraft safety regulations. How Does a Flight Engineer Find Work? While acquiring experience hours as part of a pilot’s licensing requirements, flight engineers can network with supervisors and increase their contacts within the industry. Additionally, flight engineers should take advantage of their flight schools as many of them offer job placement assistance for their students. Generic job search sites also post applicable jobs for aspiring flight engineers to sift through. However, one of the best ways to find work is through credible online sources. For instance, the FAA website provides exhaustive job listings that are worth looking into. Leading aerospace companies, like Boeing, also have a careers page full of potential jobs. What is the Average Salary of a Flight Engineer? In 2017, the U.S. Bureau of Labor Statistics (BLS) reported that airline pilots, copilots, and flight engineers earn an average yearly salary of $161,280. The top 10% in the field make about $208,000 per year while the bottom 10% make, on average, $68,230 per year. Aspiring flight engineers living in the following states work in the top five paying states for the occupation: Alaska, Hawaii, Georgia, Colorado, and Illinois. Flight engineers in these states can expect to earn annual mean wages of $102,330 to $209,830. BLS reports that flight engineers with the greatest number of flight and instrument hours in turbine engine-powered aircraft have an advantage over those who do not. So, flight engineers should strive to gain critical experience in this field. Aspiring flight engineers should also seek out jobs in select industries that are known for paying curators high wages. BLS reports that flight engineers who work in scheduled air transportation; machinery, equipment, and supplies merchant wholesalers; support activities for air transportation, other financial investment activities; and management, scientific, and technical consulting services, earn the highest annual mean wages. According to the U.S. Bureau of Labor Statistics, the employment of pilots, copilots, and flight engineers is projected to decline 7% from 2012 to 2022. Scheduled airlines will try to increase profitability by increasing the number of passengers on planes and reducing the number of aircraft per day. This will ultimately lower the number of flight engineers that are needed. Flight engineers seeking employment with major airlines will face tremendous competition since there are more applicants than the number of job openings. They’ll also be competing with very experienced pilots for the job. Most of the job opportunities will open up from the need to replace pilots, who will retire from the workforce. Job prospects will be better with regional airlines or nonscheduled aviation services, as entry-level requirements aren’t so stringent and there’s less competition for these jobs. Inspects the exterior and interior of all scheduled air transportation aircraft, making sure nothing is amiss. Flight engineers work with pilots, copilots, and mechanics to inspect all aircraft systems and make adjustments when deemed necessary. Experienced flight engineers with leadership and interpersonal skills are well-suited for these positions. They can earn annual salaries of approximately $163,130. Provide supportive activities such as assisting flight engineers, pilots, and other key individuals with air transportation. Responsibilities can include traffic control services, marine cargo handling, and motor vehicle towing. Aspiring flight engineers who’re still in school and want to gain experience are well-suited for these positions. They can expect to earn an annual mean wage of $109,530. 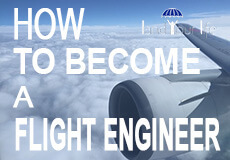 Instruct students in technical and trade schools on how to be a flight engineer. This is a great opportunity for experienced flight engineers who enjoy teaching and inspiring others. Experienced flight engineers are well-suited for the position, especially engineers with great communication and interpersonal skills. They can expect to earn an annual mean wage of $122,290. Manage a company or enterprise that’s directly related to aircraft carriers. This could involve managing pilots, flight engineers, and other key personnel. It could also involve budget planning, staff training, and other managerial responsibilities. Experienced flight engineers are suited for these jobs, especially those with managerial skills or a business-related background. Flight engineers in these jobs can expect to earn an annual mean wage of $203,940.